The Serbian contribution to the Allies' joint efforts was considerable. The price the nation paid, however, seems, by today's standards, utterly unbearable for a small nation. Serbia lost one-quarter of its population in the Great War. It also suffered more civilian deaths, (650,000) than military (450,000) in the First World War. The reasons are to be found in Serbia’s landlocked location, which isolated it from friendly Allied states and left it at the mercy of the surrounding Central Powers. 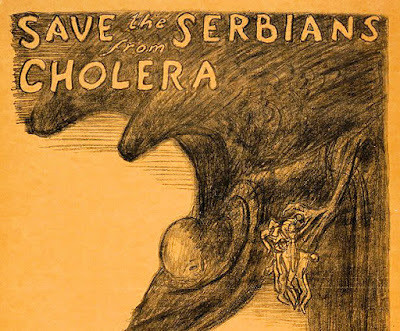 Serbia was blockaded from the start of the war, and the civilian population suffered badly from famine and disease. The repeated Austrian invasions destroyed much of the north of the country’s infrastructure and farmland. An outbreak of cholera in early 1915 killed 100,000 Serb civilians. 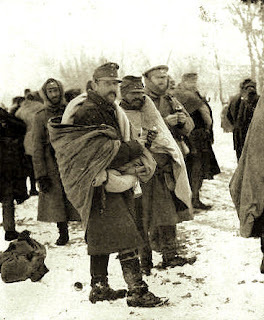 Thousands more died alongside the remnants of the Serbian Army during its epic retreat across the Albanian mountains in November–December 1915. 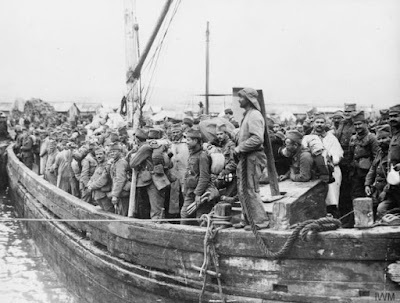 The situation worsened after the conquest of the country by the Central Powers in late 1915. Still more civilians died as Austrian and Bulgarian occupation forces implemented a harsh regime of martial law. Thousands were executed or sent to internment camps, and what was left of the country’s industrial and agricultural resources was stripped bare to supply the war economies of the Central Powers. Serbs struck back through guerrilla warfare, which led to brutal reprisals from the Austrian and Bulgarian military authorities. This culminated in a mass uprising centered on the Toplica region in February 1917 that at its height drew in 25,000 Austrian, Bulgarian, and German troops. An estimated 20,000 Serb civilians were killed or executed in two months by the occupation forces. This cycle of oppression, guerrilla warfare, and death through hunger and disease continued to take its toll on the civilian Serb population until the end of the war. 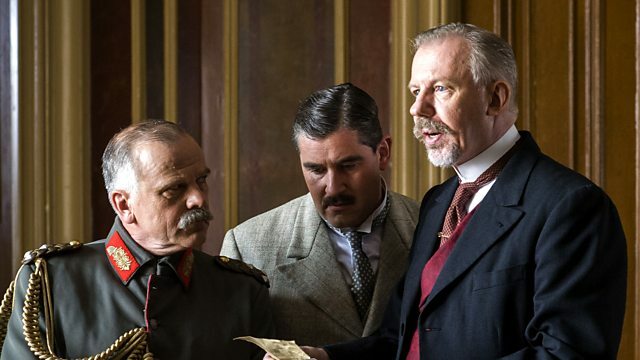 At our local Armistice/Veterans Day event recently, I learned from a friend that the vaunted 2014 BBC2 production about the July Crisis of 1914, 37 Days, was now available for purchase on Amazon.com here in the States. We ordered it immediately and when it arrived the lady and I spent an evening binge-watching all three hour-long episodes. The initial look was just right (except that the British Foreign Office seemed to have been relocated to Belfast) and — as with many BBC produced dramas — the casting we meet in the opening sequences seemed pitch perfect. 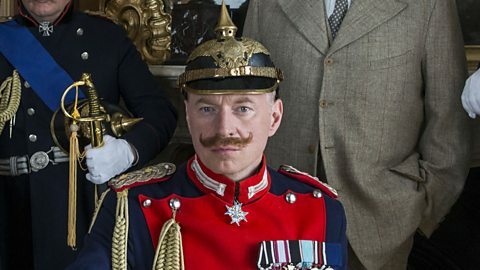 While not identical looking to their British historical counterparts, all the actors seemed close matches and to have the style and mannerisms of the 1914 ruling class down precisely. 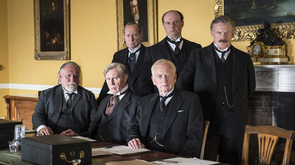 The central character, Sir Edward Grey, is well played by Ian McDiarmid, and similar successful historical captures are achieved by Nicholas Farrell as his assistant, Eyre Crowe, Tim Pigott-Smith as Herbert Asquith, Mark Lewis Jones as David Lloyd George, and a host of others. There were some signals that the historical record was getting made-over a bit for dramatic effect: the "Blank Check" episode seemed misplaced chronologically, the Poincaré trip to Russia in the midst of the crisis is never mentioned, and repeated episodes of Margot Asquith openly playing factional politics with her favorites on her husband's cabinet seemed exaggerated, possibly to provide a substantial female presence in the otherwise all-male drama. But another element eventually became the dominant source of annoyance for me. The excellence in casting for Team Britain was turned upside down for all the other soon-to-be belligerents. Despite casting Germans as Germans and so forth, many of the portrayals simply did not work. 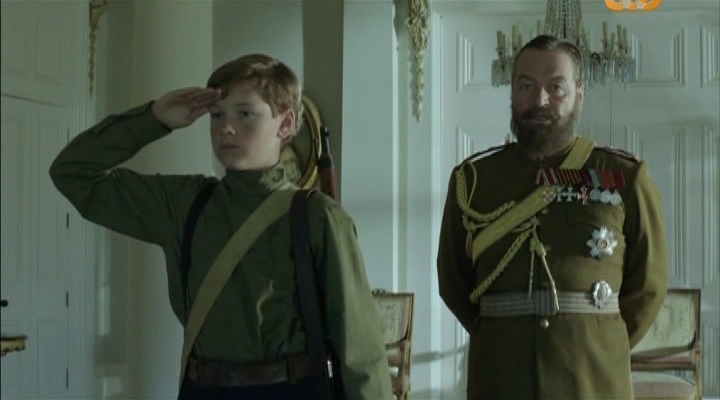 For a few, the physical appearances were off, particularly Tsar Nicholas – the physically imposing chap that portrayed him is much better suited to play Nicholas's strongman father Alexander III – but the problems with the non-British cast ran much deeper. Whether it was their tone of voice, facial gestures, body language – whatever the problem – most of these players just do not sell themselves as historic figures from 1914. And they often behave in the most unlikely, crudest ways. Moltke, for instance, is openly confrontational with everyone, even berating the Kaiser before other counselors. Almost all of these foreigners' parts are neither as well written nor as well acted as for their British counterparts. The writers depict every major German figure, except Ambassador Prince Lichnowsky, as belligerent, rude, or uncouth; every Austrian as stupid or foppish; and the single significant French character unsurpassingly rude for a diplomat. Also, the actors for these roles seem to have been instructed to remove any element of subtlety or personal charm from their portrayals. All of this made the entire production implicitly sympathetic to the British officials, their misjudgments and miscalculations presented as eventuating from sophisticated and good faith cabinet debates that were tragically misinformed, in good part due to the deceptions of every other nation's politicians and diplomats. At the end of three hours of viewing, I found myself disappointed. Because of this almost structural flaw with the casting and characterizations, 37 Days was a major let down. I simply could not trust the history being told. 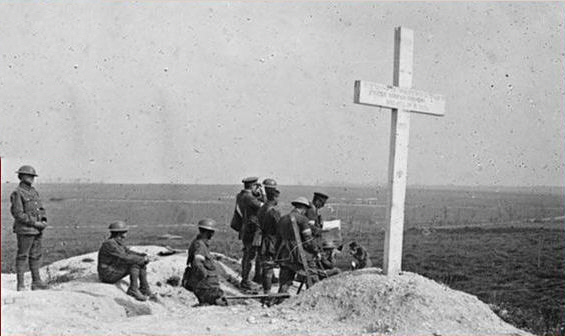 Here is an opportunity for our readers to support our effort at Worldwar1.com to commemorate the First World War. Our sole revenue sources that allows us to post our daily ROADS TO THE GREAT WAR, our monthly newsletter the ST. MIHIEL TRIP-WIRE, and our award-winning websites like the DOUGHBOY CENTER and TRENCHES ON THE WEB are our monthly subscription magazine, OVER THE TOP, and our line of CDs and DVDs. All the information you receive here at ROADS TO THE GREAT WAR and most of our outlets comes to you free of charge. However, it is not free to produce. 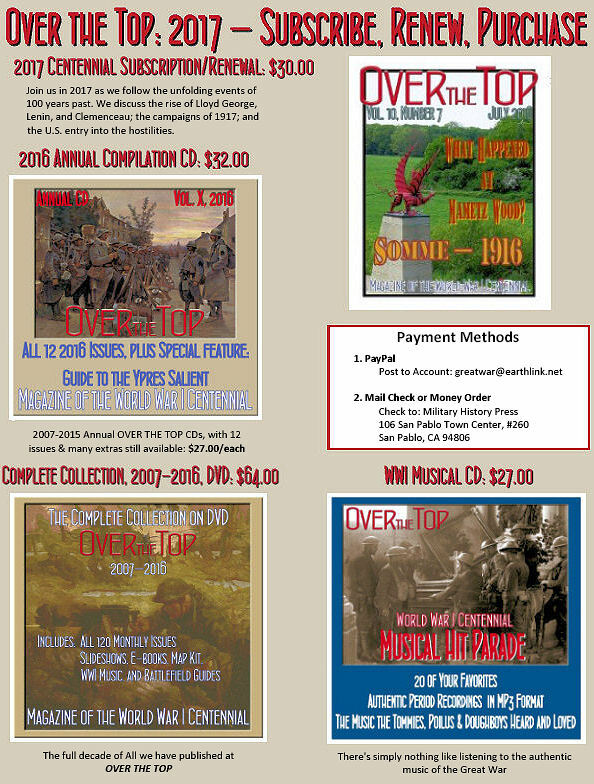 Please support us by subscribing to OVER THE TOP or purchasing some of our disks that include annual compilations of all our issues, year-by-year, or for the entire past decade of publishing as well as our best seller, our WWI Centennial Musical Hit Parade. Here's our 2017 flyer, there is a link below for downloading a printable PDF version. On 17 November we published the the photo below requesting an explanation of the lower section of this memorial, which I originally thought was related to the Second World War because of dates indicated just below it. A day later we revised the post when it was pointed out that the 1939–1945 banner was tacked on in 1995 (the original memorial was dedicated in 1927.) Also, we corrected the location as the town of Ettlingen, which is near, but not in Karlsruhe, Germany, itself. 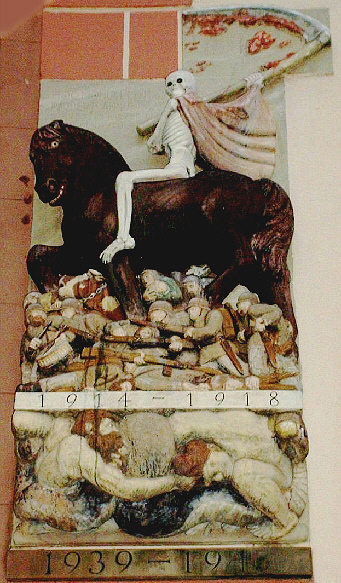 The full sculpture it seems was originally exclusively connected with the First World War. 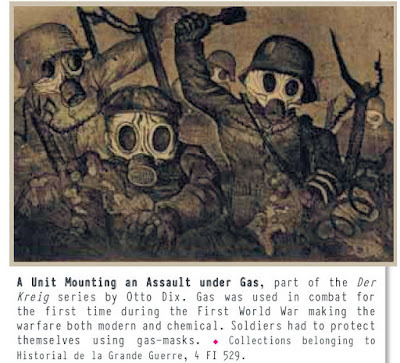 Also, it now can be seen as having three sections: top – Grim Reaper (symbolism clear), soldiers fighting in the middle (symbolism obvious), and then the mysterious lower section (erroneously labeled by me the 1939–1945) section, which is clearly in some subterranean zone with respect to the upper pieces. Now, with all these changes and mistakes I made in the original article, there is case for throwing out the contest. However, a number of submissions came in that met some (but not all) of the requirements of the contest. So I decided to continue the contest and evaluate the contributions and make awards as seemed appropriate. In the revised rules for the contest I stated the winning submission would include explanations of who the combatants are, whether they are fighting each other or some snake-like monster, what the bowling ball-like object represents, what exactly the thingamajig on the far right is, and why both parties are red-headed. No submission answered all of these points. So there will be no Grand Prize Winner declared. However, two readers sent details that were insightful and made progress toward a full explanation of the lower section. I declare these two readers to be Co-Runners-Up. Some extracts from their submissions are included below. It's a bas-relief, yes? I saw it in 1977. A then-girlfriend tried to explain it in her broken English and my poor German. As I recall it's a Wagnerian scene of two Germanic gods wrestling over the soul of man. Commonly known as a "Pacifist War memorial" . . . In the `underground´ area, a battle plays out between two brutal giants, wound in the coils of a snake. To me the snake might symbolize being grasped by something tenacious that won’t let go – i.e. hate. Both parties will be awarded our WWI Musical Hit Parade CD. They can claim their prize by sending their mailing address to me at greatwar@earthlink.net. Congratulations to the Co-Runners-Up and thanks to all contributors in the contest. At the end of the Battle of the Somme, there were mixed feelings. Gradually the BEF took over Sixth Army’s front down as far as the river Somme, amid a lot of ill-tempered disagreements over dates (yet again) and the state of the trenches. Foch believed that it would be dangerous to leave the only offensive area, that is to say the northern bank of the river, in British hands. He pointed out to Joffre "the dangers of leaving to the large British Army the area north of the Somme which constitutes a magnificent domain bounded by the Somme and with easy access to England…deliver[ing] up provinces which constitute the only offensive front of the French armies without ensuring that we will be able to return and use them as the route of an offensive of liberation which we cannot entrust entirely to our Allies." The frequent complaint that the British were fighting to the last Frenchman re-surfaced. A French Army morale report of mid-November stated, "The idea that the British owe it to us to extend their front in order to allow us to shorten ours is spreading." On the other hand, a letter home from a soldier of 69 Infantry Regiment asserted, after seeing the British at work, "I assure you that this mix of British tenacity and French furia was not unconnected to our success, which is only a beginning." Finally, on 15 December, Foch was sacked from his command of the Northern Army Group. Even more frustrating was Haig’s reward of a field marshal’s baton. The circumstances of Foch’s removal are somewhat mysterious, but it is clear that there was a campaign of denigration mounted against him, and Joffre had not defended him. Joffre too had lost the confidence of the government and the parliament, and he was promoted to a shadowy powerless position, from which he resigned. Foch was furious, but he had the sense to bend before the storm and obey orders. He would not be long in the wilderness. When Marian Small inherited a package of her father's letters and diary, she knew exactly what she had to do. As a genealogist and family historian, Marian had already written extensively about her family. With the information about her father's World War I service in her possession, she set about to write his story, too. 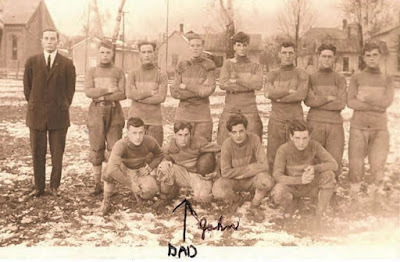 John R. Small enlisted in the Ohio National Guard and served on the Mexican border in 1916. After the declaration of war his unit was federalized and he became a sergeant in company G, 147th Infantry Regiment, 37th Division. In 1917 John married Mary, a young lady he had met in the service. Throughout training he proved to be an efficient and capable leader of his men. Due to a shortage of officers, John was de facto platoon leader from the time of his departure for France in June 1918. His leadership was recognized, and in early September he was promoted to first sergeant of Company G.
During the Meuse-Argonne Offensive, while advancing under shellfire with his company, John was struck by shell splinters, and his legs were "mangled." He spent six months flat on his back in Army hospitals in France, during which time he underwent many operations on his legs. Returning home in March 1919, John was carried down the ship's gangplank to the dock, hence this book's title. The section on John's postwar life is poignant. After returning to the United States, he remained in Army hospitals, still flat on his back, and subject to more operations. At one point, after being allowed the use of a wheelchair and tired of awaiting permission to leave the hospital to visit his family, John went AWOL with the help of a friend. Upon his return he was court-martialed and reduced in rank to private. Finally, he received his discharge from the Army in November 1920. His wounds left him "crippled" for life, his right leg virtually useless. John's struggle to obtain full compensation from the government, as well as reinstatement of his rank as first sergeant, were for naught. John's letters and diary record the common concerns of a World War I soldier; all of his letters to Mary are tender and reflect the great love and care he had for his young newlywed wife. Marian Small self-published this book through FriesenPress; this in itself is not a problem, but the book would have benefited had a military historian been able to supply some editing, especially with regard to military terms and unit composition. Small has included photographs of some pages from her father's diary; comparing the actual handwritten diary entries to Marian Small's text, we find that she has altered some of the entries and moved and combined some entries. For example, the exciting diary entry recording John's wound is not the same as Marian's text; she appears to have added some information, probably from some letters John had written. In none of the few examples that I examined was the sense of John's meaning altered, yet this is a serious drawback because we don't know for sure what has been amplified or changed from John Small's original diary entries. The book has no footnotes or end notes, nor is there an index, but Marian has included a selected bibliography. Dozens of photographs from her father's collection are reprinted, augmented by photos Marian has culled from other sources. Readers should remember that this book was not written by a military historian seeking to present a scholarly study. Rather it was written by a family historian for the purposes of recording a soldier's history and preserving his memory for future generations. As such, the book should be considered more of a family heirloom or remembrance rather than a scholarly addition to the growing volume of diaries, letters, and memoirs of American soldiers during the war. Nevertheless, Marian Small is to be commended for publishing her father's documents; it would be wonderful if more people searched their own family archives and perform a similar service. Alan Waite was a white officer with the segregated 372nd Infantry that was detached from the AEF and placed under the command of the French Fourth Army in the last stages of the war. He was killed in action on 29 September 1918 in the Champagne as the Meuse-Argonne Offensive was unfolding just to the east. He grew up in Yonkers, NY, where the local American Legion Post is named in his honor. He attended Dartmouth College, graduated in 1915, and studied law afterward. 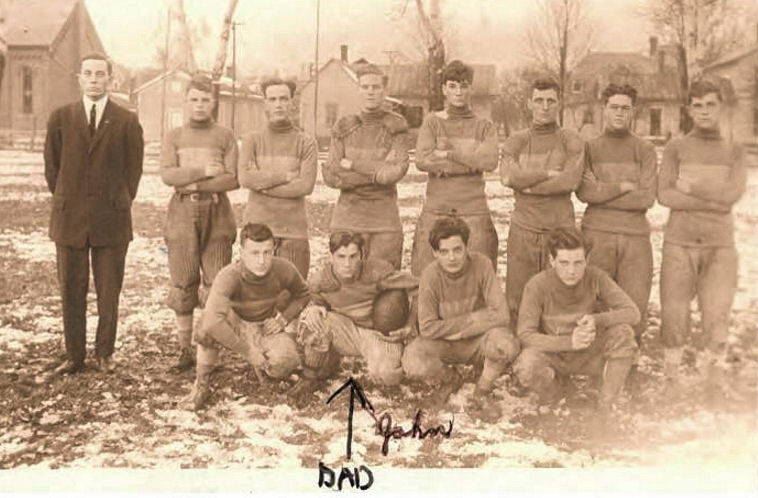 When America joined the war he enlisted in the infantry and was sent to the Plattsburg training camp, where he was commissioned second lieutenant in the Machine Gun Company of the 105th Regiment. Both of his brothers also subsequently enlisted in the Army. Waite then went to Camp Wadsworth and to Newport News, where he received his promotion to first lieutenant and was made battalion adjutant with the 372nd Infantry and sent to France. The enlisted ranks of the regiment were all black Doughboys, the officers a mixture of white and black. The commander was a respected and experienced West Point graduate, Col. Herschel Tupes. The 172nd went into action on 27 September 1918 near the village of Gratreuill. It advanced over the next two days capturing Bussey Farm and reaching a position to the west of Sechault. They assaulted Sechault on the morning of 29 September Their assault was beaten back, but the village was captured later that day by another American unit, the 369th Harlem Hellfighters. Today Sechault is the location of a monument to the 369th, a similar monument to the 372nd is farther north at Monthois, the point of the regiment's farthest advance. Waite was serving as a liaison officer and aide-de-camp to the headquarters of the regiment's parent unit, the French 157th Division, which carried the nickname "Red Hand of France." This was dangerous work requiring round-the-clock movement over unfamiliar routes, exposed to enemy observation and fire. The night of the 29th Captain Waite left divisional headquarters in Ripont on a truck with a French officer. En route to Bussey Farm the truck received an artillery hit. Both officers were killed. Capt. Alan Waite today lies buried at the Meuse-Argonne Cemetery in France. Souces: Thanks to Rolfe Hillman III, a great-nephew of Alan Waite for this material. It is derived from a talk his dad, Rolfe Hillman, Jr., gave in Yonkers on Memorial Day 1987. 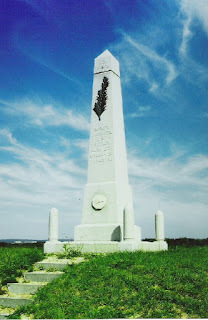 Roy Webb contributed the photo of the regimental monument. Launched in 1914, HMHS Britannic was the third Olympic-class liner from Belfast’s Harland and Wolff shipyards, following RMS Olympic (1911–1935), and RMS Titanic (1912). The Olympic-class trio were the largest liners in the world, 100 ft. longer than competing Cunarders. Britannic was delayed for extensive and expensive safety modifications after the Titanic disaster. Watertight bulkheads were raised to B Deck, large lifeboat davits were installed together with plenty of lifeboats, and a double hull was added. After launch, while fitting out in August 1914, the Great War engulfed Europe. Work slowed, and Britannic was docked into storage. By 1915 as British Naval operations expanded around Europe, passenger liners were requisitioned as troop ships and hospital ships. 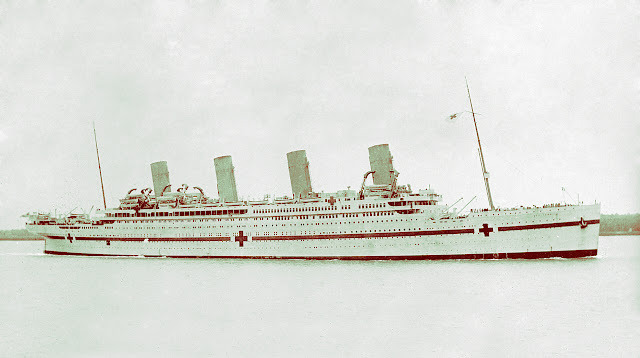 Britannic was requisitioned as Her Majesty’s Hospital Ship, HMHS Britannic, to evacuate mounting casualties from the disastrous Gallipoli campaign. The ship was painted white with a green stripe and red crosses. Beginning in 1916, Britannic made five voyages to the Middle East Theater transporting sick and wounded soldiers back to the UK. On the morning of 21 November 1916 Britannic was steaming at full speed through the Greek islands on a return trip to the Mideast. A total of 1,065 crew and Royal Army Medical Corps doctors and nurses prepared for the next load of evacuees. A huge explosion shook the ship. Britannic had struck a mine laid by the German U-Boat U-73. Although badly damaged, Britannic should have stayed afloat thanks to the safety modifications. However, as in most disasters, a cascade of bad surprises combined to make it worse. A watertight door jammed and would not close. The firemen’s tunnel flooded, bringing water into two boiler rooms. The double hull caused asymmetric flooding and a serious list to starboard. Worst of all, contrary to orders, lower-deck portholes had been opened by nurses to ventilate the wards. Within 15 minutes some of these portholes on the starboard side were under water and the great ship was doomed. After Titanic hit the iceberg, Captain Smith shut down the engines and called for help, hoping to reach another ship visible in the distance. The distant ship was the SS Californian, whose wireless set was turned of,f and its crew ignored Titanic’s distress rockets. Britannic’s Captain Bartlett chose a different strategy — he kept the engines running hoping to beach the ship on a nearby island. Contrary to orders, two lifeboats were launched during the desperate dash for land. Both boats drifted back and were sucked into the turning propellers, which were rising out of the water. Thirty men were killed as the lifeboats were smashed to bits. After hearing about this massacre, Captain Bartlett stopped engines and ordered abandon ship. With plenty of lifeboats and warm 70F water, the evacuation proceeded without any more casualties. While Titanic took 2 hours 40 minutes to sink, the open portholes caused Britannic to roll over and sink in just 55 minutes. It was the largest ship lost in the Great War. Three Britannic survivors, Violet Jessop, a nurse, Archie Jewell, a lookout, and John Priest, a coal stoker, had also survived RMS Titanic. 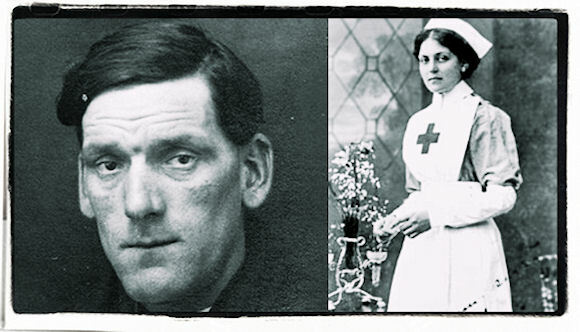 Violet Jessop and Archie Jewell were in one of the unlucky lifeboats, a horrifying experience. For John Priest HMHS Britannic was his fourth ship sinking. Five months later Priest survived SS Donegal when it was torpedoed and sunk. That’s five ship sinkings for John Priest, who lived to 1937 and died on land. Unfortunately, Archie Jewell was also on SS Donegal but did not survive. Dr. Graydon Tunstall, longtime member of the Western Front Association, Eastern Branch, as well as the World War 1 Historical Association, has given the world another gem about the Great War's Eastern Front. His previous work, Blood in the Snow: The Carpathian Winter War of 1915, was a groundbreaker in exploring the struggles of the Austro-Hungarian Army. This new work adds more to the story of the Dual Monarchy's efforts to at first win the war against a numerically superior Russian Army, then to survive the war for a few more months and, later, to spend years as a dependent of the German Army. As many of us know, the powers that went to war in August 1914 did not have a clear idea of what their political objectives in fighting the war were. Nowhere was the confusion more evident than with the chief of the Austro-Hungarian General Staff, General Franz Conrad von Hötzendorf. Tunstall reminds us in the opening chapter how Conrad's vacillation in determining which mobilization plan to implement quickly led to his armies meeting defeat in Russian Poland and on the Galician frontier. As the armies retreated into Galicia hotly persuaded by the Russians, Conrad saw Fortress Przemysl as a rallying point for the defeated; however, the fortress was more plaster than concrete. Strategically placed between the San and Dniester Rivers and the Carpathian Mountains' Dukla Pass, which opened to the Hungarian plain, the fortress should have merited adequate funds since its inception in the early 1800s as a defensive position against Russian invasion. However, upgrades to armaments as those weapons changed and strengthening its forts in response to stronger besieging armaments were greatly neglected in favor of fortifications along the Serbian and Italian borders. The author very adequately lays out the fortress's armaments, some cannon dated to the mid-1860s which used black powder, as well as the condition of its walls, left un-reinforced by concrete. Not until war was declared in August 1914 and invasion was imminent were measures taken to improve its inadequacies. It is a wonder that the fortress held out as it was surrounded by the enemy in October 1914 and remained so with only a brief respite until March 1915. Its tenacious stand was due not to Conrad's leadership but rather to that of General Hermann Kusmanek, the fortress's commander, who clearly saw that the installation's purpose was to tie down as many Russian divisions it could until the shattered army reorganized itself for a new, winning offensive. Tunstall minutely lays out Kusmanek's efforts to make Przemysl a thorn in the side of the tsarist soldiers as they chased the Dual Monarchy's men deeper into Galicia. His sorties from the fortress and the defense of its old and newly constructed works tied down nearly two whole armies that Russian generals could have used to tackle the fortress at Krakow and invade Germany's resource-rich Silesian province. The author also revisits Conrad's efforts, which border on obsession, to relieve the fortress. Hundreds of thousands of men were lost in the Carpathian Mountains in winter campaigns that lacked adequate planning or compassion for the men, who had to endure all the inhospitable conditions that exist in the mountains in the middle of winter. As a result of such losses, the Austro-Hungarian Army grew more and more dependent on German battalions to shore up its defenses against the Russians. Written in Blood is a must-have reference to an often neglected Great War front and to the inner workings of the Austro-Hungarian Army. It is rich with well-researched information arising from primary archival documents about siege conditions, military units in the fighting, and conditions endured by soldiers and civilians who shared their hardships. One hundred years ago ended the nearly 68-year reign of one of the Central Powers' leaders, the supreme ruler of the Austro-Hungarian Empire, the Emperor-King Franz Joseph I. Winter came to Central Europe in early October 1916. Damp days and a bitter wind greeted the first snowfall at the Schönbrunn Palace during the last days of the month. 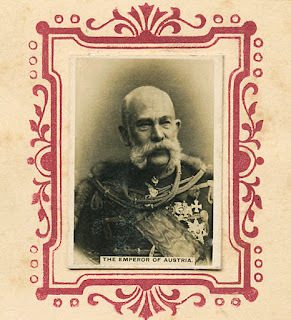 Franz Joseph was busy poring over reports from his high command, the AOK (Armeeoberkommando). 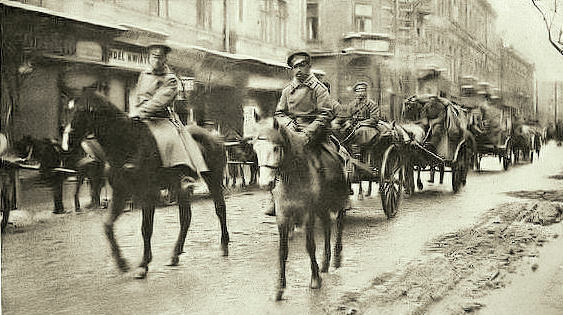 The Russian advance, which had threatened to break into the Hungarian plain, had been halted and the enemy troops were being pushed back down the Carpathian Mountains; Romania had entered the war against the Central Powers on 27 August and had advanced into Romanian-populated areas of Hungarian Transylvania. A multinational force under the command of the German general August von Mackensen had stopped the Romanian advance and was itself advancing into Romania. The diplomatic discussions progressed about the formation of a puppet Polish kingdom, intended to be ruled by the relatively Polish Archduke Charles Stephen, who lived in the Austrian Galicia and spoke Polish, although his candidacy had been rejected by both Chief of the German General Staff von Falkenhayn and German Chancellor Bethmann-Hollweg at the beginning of the year. The German governor general of occupied Poland, General Hans Bessler, issued the Proclamation of 5 November, which promised the creation of an independent Poland but did not specify the future government or borders of this promised Polish kingdom. The Austrian occupation government issued a similar statement from Lublin. The proclamations only encouraged thoughts of an independent Poland among Poles and Allied leaders. In fact, the guarantee of an independent Poland became the thirteenth of President Wilson's Fourteen Points. 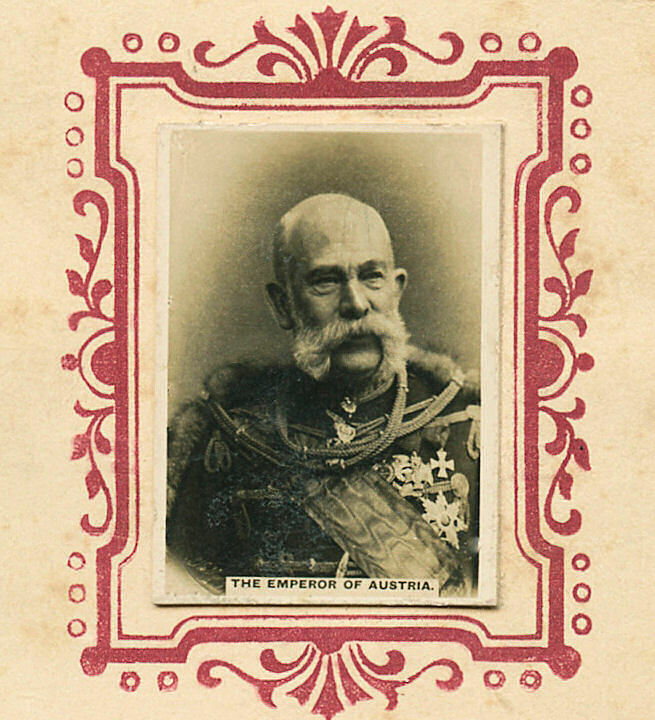 Franz Joseph was also involved in the discussions about the formation of a new government for the Austrian half of the Empire, under the newly appointed prime minister, Ernst von Koerber. Consideration of these problems left him exhausted. In the beginning of November his mind was occupied with thoughts of his dear, departed ones during the Roman Catholic Feasts of All Saints and All Souls: his wife, the assassinated Empress Elisabeth and his son, the suicide Crown Prince Rudolf. His bronchitis at the end of October led to a persistent cough and fever by 6 November. His personal physician, Doctor Joseph von Kerzl, recognized the symptoms of pneumonia. On the afternoon of Saturday 11 November 1916 a warning telegram was sent to the new heir apparent after the assassination of the Archduke Franz Ferdinand, the Archduke Karl, who was traveling in Saxony after having met with von Hindenburg at the latter's East Prussian headquarters, but by the time Karl got back to the Schönbrunn Palace on Sunday night, the old emperor seemed to be in much better health. Like the pneumonia scare of 1914, Franz Joseph seemed to be shaking his infection off. By Wednesday 15 November the effect was so remarkable that the two daughters, the Archduchesses Gisela and Marie Valerie, hesitated before making the short drive from Vienna to the Schönbrunn Palace, should the gathering of the family scare their father. But by Friday Franz Joseph's temperature had begun to climb again. Doctor Kerzl urgently sought the advice of the celebrated pulmonologist, Hofrat (privy councilor) Dr. Ortner, from one of Vienna's famous hospitals. Sunday 19 November Franz Joseph was too weak to leave his room. He heard mass from bed. His dear friend, Katherina Schratt, came to visit that afternoon. As she got ready to return to the convalescent hospital in Vienna for wounded officers where she was a volunteer, Dr. Kerzl pulled her aside and asked her not to come back on Monday. Franz Joseph was to have a day of complete rest. The Archduchess Marie Valerie was intent on her father receiving the full ministrations of the Catholic Church, in case he should die. She made sure that the court chaplain, Dr. Ernst Seydl, was nearby. Dr. Seydl heard Franz Joseph's confession on Monday 20 November. Franz Joseph's favorite granddaughter, the thirty-three year old Archduchess Elizabeth, his son Rudolf's daughter, was at the bedside too. Against doctor's orders, Franz Joseph worked tirelessly all day at his papers, but a few minutes before 5:00 p.m. on Tuesday 21 November the adjutant, Baron von Margutti, was told not to expect the normal 5:00 dispatches that day. Margutti hurried over to Schönbrunn from the Vienna Hofburg Castle and waited for the doctor's reports in the small adjutant's office with Count Paar, another adjutant, and Furst (prince) Montenuevo, the court chamberlain. The Archduke Karl, dressed as an Austrian General der Infantrie (full infantry general) came in from time to time in a state of extreme agitation. He believed he would be the new emperor before the night was over. Baron von Margutti still had some work to take care of back at the Hofburg Castle, but he came back to the Schönbrunn at 8:30 p.m. He asked Dr. Ortner if the crisis had passed. "Crisis?" replied Ortner. "It's the end! Hardly an hour now." Franz Joseph still worked at the desk in his bedroom even though his temperature had risen to 102 degrees Fahrenheit. Finally he allowed his valet, Eugen Ketterl, to help him into his bed. Ketterl asked if there would be anything else. Franz Joseph asked for a wake-up call at 3:30 a.m. ("um halb vier.") There were still many papers that needed his attention. As Ketterl helped him to sit up in bed to drink some tea Ketterl heard him mumble "Why must it be now?" He was only just conscious when, at 8:30, Dr. Seydl administered the last rites. By 9:05 p.m. on 21 November 1916 he was dead at the age of 86 after almost 68 years on the throne. With him passed a whole way of life and, soon, the Austro-Hungarian Empire. One of the lasting memories of my recent Centennial Tour is from our visit to the Historial at Péronne. In the past my groups have not responded especially strongly to the displays. My impression was that it over-emphasized the cultural aspects of the war in general, and neglected, or at least de-emphasized the actual combat. I discovered, however, that in the three years since I had visited the Historial, they have done some re-modeling to make the presentation much more effective. I'm not sure whether they have added that much to the collections, but the sequence of displays has changed. One conspicuous revision is the prominence give to the work of German soldier, veteran of the Somme, and artist Otto Dix. 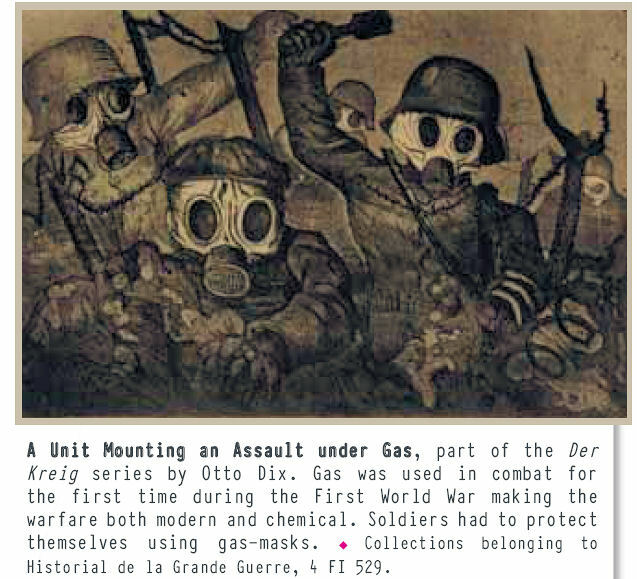 In 1914 Otto Dix, a student from the Dusseldorf school of Fine Art, volunteered at the age of 24 to serve with the German Army. In 1915 he painted this extremely martial self-portrait and wrote, "I am a realist who must see for himself to confirm that something happens as it does. I must experiment all the abysses of life. That is why I volunteered for the army." During his four years of war, Otto Dix fought on every front (he was in the Somme in 1916), was made a non-commissioned officer, and was awarded the Iron Cross (2nd Class). Confronted with the violence and horror of war, however, his initial exaltation was replaced by disillusionment. After the war, and already a master of German Expressionism, Dix's work — greatly influenced by his fellow veteran George Grosz — became anti-militarist, portraying hatred for war in a violent and passionate way. 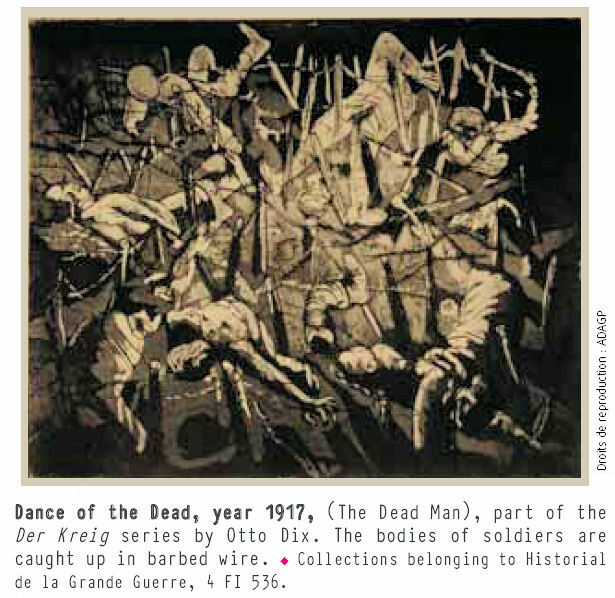 Fifty of his etchings are on display at the Historial, a complete set of his have been brought together in one of the rare complete boxes of the Der Krieg (The War) series. They are presented at the start of the recommended course through the Historial's displays, and they set a powerful tone for visitors. This cycle, inspired by “The War Disaster” by Goya, corresponds with the artist's need to erase from his memory the horrors of his wartime experiences. Dix recounted, "The fact is, although young at the time, one doesn't realise just to what extent the shock was profound. For at least ten years I have dreamt that I was crawling through ruined houses or corridors where there was scarcely room to pass. The ruins were always present in my dreams." Der Krieg explores the macabre theme of a horrible daily chronicle. Themes of destruction, deformation and mutilation of the human body emerge from an atmosphere of chiaroscuro to present a vision of the apocalypse. 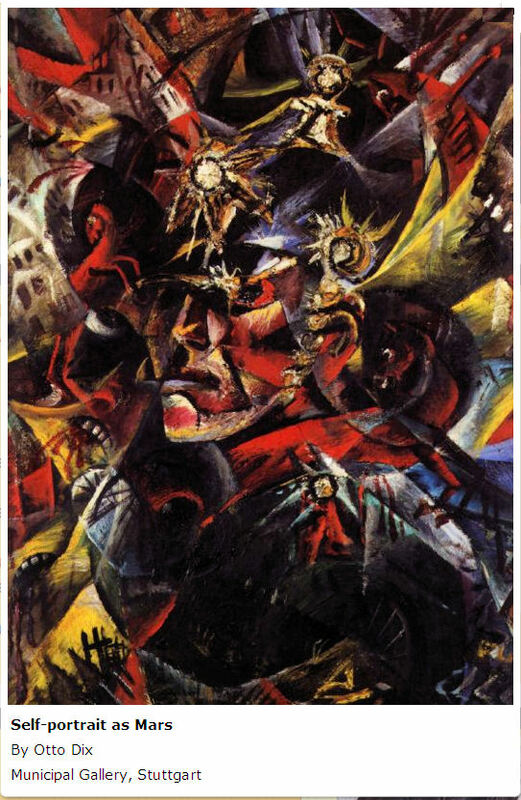 Most of the scenes depicting the objective despair of death take place in Somme or in Picardy, where Otto Dix fought. Earlier this year we published a highly critical article on the influence of Woodrow Wilson. I remember that one of our readers took exception to another article critical of "Wilsonianism" that I had recommended in our newsletter the St. Mihiel Trip-Wire. His argument is more limited, but makes an a point that I think ought to be considered. 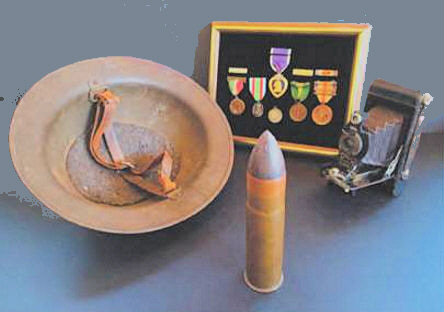 These comments are from the late Len Shurtleff, one of the founding members of the Western Front Association and its American Branch, as well as one-time president of the World War One Historical Association. Len was a professional foreign service officer, serving as U.S. Ambassador to Congo-Brazzaville from 1987–1990. I believe it is wrong to blame Wilson alone for the rise of self-determination as a rallying cry for nationalists. The seeds of rampant nationalism existed in the multi-ethnic Ottoman and Austro-Hungarian Empires even before the war. Greece, Serbia, Romania, Bulgaria, and Montenegro were hived off from the Ottomans in the 19th century. France, Italy, and England conspired for tactical and imperial reasons in 1915 and 1916 to promise bits of both empires to each other and to would-be independent rulers like Emir Faisal and King Peter of Serbia even before the war was over. 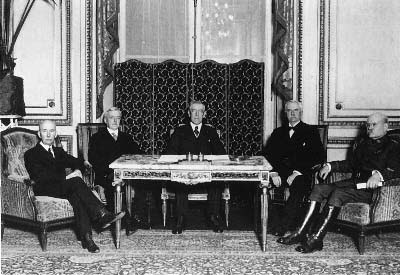 The postwar peace treaties largely ratified these secret agreements, despite Wilson's active opposition to many of them during the Paris peace negotiations among the Allies . All these actions predated Wilson's Fourteen Points speech of January 1918. Indeed, London and Paris were horrified by the breadth and scope of the Fourteen Points. In one sense, Wilson was only recognizing a fact of political life in Europe and the Near East — the thirst for self-government. The Battle of the Somme ended on 18 November 1916. The final three weeks of the Somme featured some efforts by the British Army to tidy up the front lines and pretty-up a costly venture that had actually failed to achieve any of its original strategic aims. Two actions during the period were microcosms of the full battle. These were the attacks on a man-made hill, the Butte de Warlencourt, and the village of Beaumont Hamel. 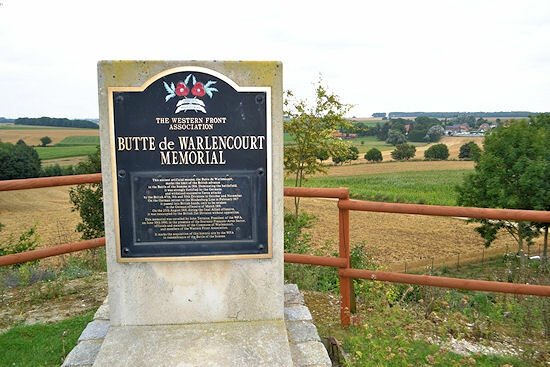 As the British Army clawed its way forward over the Somme battlefield during the summer of 1916, the Butte, towering over the surrounding countryside, was of immense value to the Germans. By late September 1916 the front line had been pushed toward the nearby village of Le Sars. Other than its brief capture, the Butte remained under German control throughout 1916. It was not until the German retirement to the Hindenburg Line in February 1917 that the Butte passed into British hands. Beaumont Hamel had been attacked on the first day of the Somme by the 29th Division. 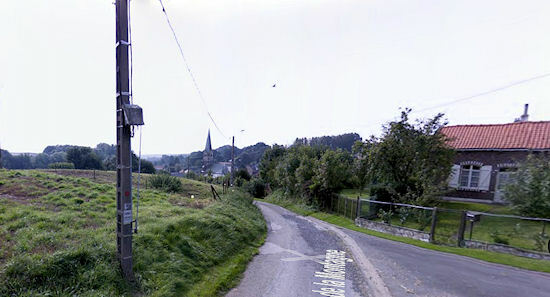 The attack had failed comprehensively despite the detonation of the large Hawthorn mine on the ridge overlooking the village. The line did not move an inch for almost 20 weeks. This failure was an embarrassing, constant reminder that the Somme offensive had never gone according to plan. 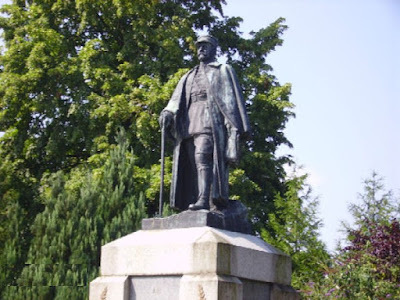 As the winter approached, Sir Douglas Haig, who was scheduled to attend an Allied planning conference, needed some indicator that the situation was improving. He ordered the capture of Beaumont Hamel, committing more artillery to the sector than was available on 1 July. Also, since some of the mining tunnels were still open under Hawthorn Ridge, the big mine was reloaded. The front line over it had been re-fortified by the unsuspecting defenders. The attack was to be carried out by the Fifth Army with the 2nd Corps South of the Ancre River bank and the Vth Corps north of the river. The Vth Corps attack would have the 63rd Division on the right, 51st Highland Division and 2nd Division in the center, and the 3rd Division on the left with the 37th Division in reserve. The attack had been originally planned for 24 October, but primarily because of torrential rain there were a number of delays until the attack was eventually scheduled for 13 November. 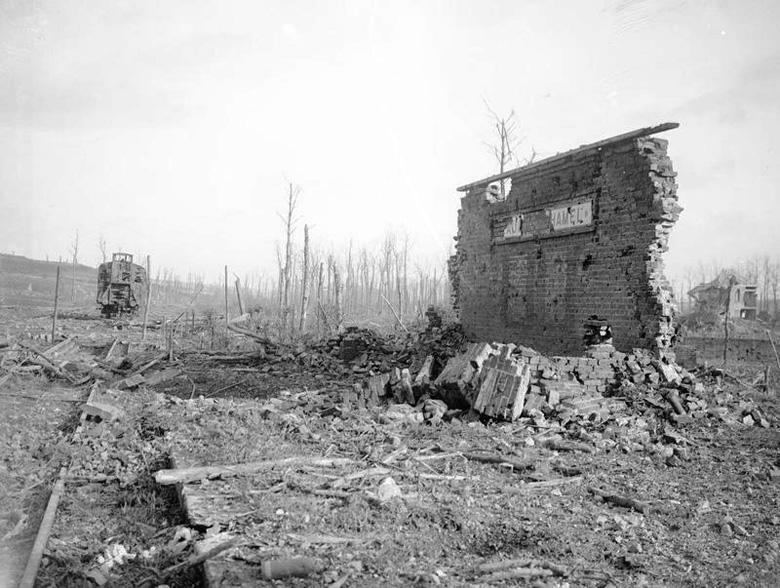 The mine went off at 05:45, and the 51st Highland Division overran the German line and captured the village, Y-Ravine, and what is now known as Newfoundland Memorial Park. It was the only success of the broader assault that day. For the next five days the British divisions along the Ancre inched along the river banks, but by 18 November there was no point in proceeding as winter was on the way. The Battle of the Somme had come to its end. This article is just one of 15 features presented in the November 2016 issue of our free monthly newsletter, The St. Mihiel Trip-Wire. Click HERE to read all our articles and subscribe. Below is a memorial for both World Wars located in Ettlingen near Karlsruhe, Germany. A few years ago I posted it on our newsletter, the St. Mihiel Trip-Wire, and asked for an explanation of the symbolism of the lower section from our readers. (The upper "Grim Reaper" part is pretty clear.) Unfortunately, no explanation was forthcoming. I was very disappointed. The winning entry will receive our World War I Centennial Hit Parade CD. Play list and details can be found HERE. 2. The winning entry must include explanations of who the combatants are, whether they are fighting each other or some snake-like monster, what the bowling ball-like object represents, what exactly the thingamajig on the far right is, and why both parties are red-headed. 3. Entries must be posted in the comments section of the article with emails included for contact information. Entries close at midnight Pacific Standard Time, 24 November 2016. 4. Needless to say, all decisions by the judge are final. 5. The winning entry (if any) will be published on Roads to the Great War on 27 November 2016. 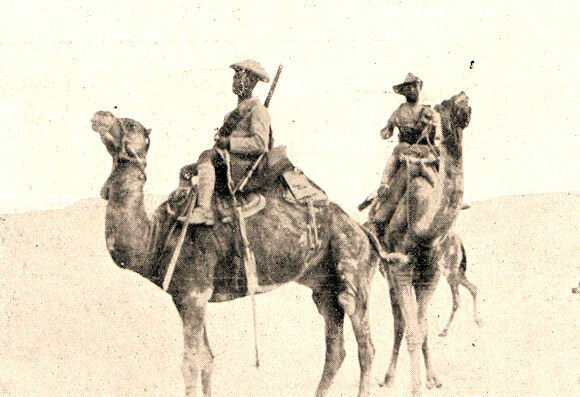 One of the more colorful formations of the war, the Imperial Camel Corps (ICC) was initially manned in 1916 by some of the Diggers, the Australian soldiers, who had recently fought at Gallipoli. The ICC saw extensive action for over two years, their combat resume including the suppression of the Senussi Revolt, the important, but little known action of 1916, the Battle of Romani, the Gaza and Palestine Campaigns, and support of the Arab Revolt. 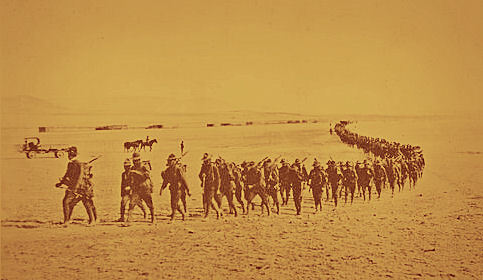 By October 1918 General Allenby's forces had advanced to the hilly territory of northern Palestine where horses fared better than the camels, so most of the corps was reassigned to infantry or mounted infantry units for the close of the war. The last ICC battalion (the 2nd) was not disbanded until May 1919. 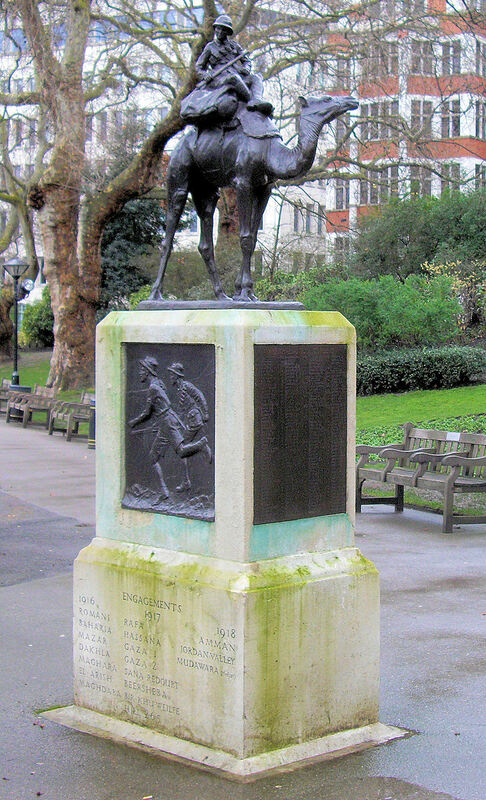 The monument to the ICC shown at the top of this article stands today in the Victoria Embankment Gardens in London, and honors the 246 members of the corps who fell in action. The Great War was truly a world war and a facet of its worldwide impact is the subject of The General and the Jaguar by Eileen Welsome. The General is John J. Pershing, the Jaguar is Pancho Villa, and the story is the 1916 American invasion of Mexico to capture Villa and to disperse his followers. Thirty-five years of relative stability under Mexican President Porfirio Díaz ended in revolt after the disputed 1910 election. Diaz's overthrow started a spiral of government instability that descended into a three-way civil war by 1914. The victory of Venustiano Carranza drove his rivals, Emiliano Zapata and Pancho Villa, into guerrilla warfare. When the Wilson administration recognized the Carranza government in October 1915 Villa felt betrayed and turned his wrath on the United States. Villa's men executed 16 Americans after removing them from a train in northern Mexico. Columbus, New Mexico, was a border town with four troops of U. S. Army soldiers (totaling about 240 men) on which Villa focused his vengeful gaze. While heading north, Villa killed two Americans with whom he had been friendly, William Nye Corbet and Ed Wright, and also took Wright's wife, Maud, hostage. Approaching the sleeping town, the attack began at 4 a.m. on 9 March 1916. Swarming into Columbus in four waves, Villa's men wreaked havoc until they were driven back by the counterattacking soldiers, leaving 67 to 78 Mexicans dead along with eight U. S. soldiers and ten civilians. The American leadership looked backward to the Spanish-American War and Philippine insurrection where its commander, Black Jack Pershing, had gained experience, and forward to two world wars in the first of which Pershing would command and his aide, George S. Patton, would be wounded before winning fame in the second. Crossing the border on 15 March, the American force of infantry and cavalry, trucks and reconnaissance aircraft began their 500-mile quest in search of Villa and his band. Rough terrain, cold weather (yes even in Mexico), and local resistance kept the Jaguar out of reach. Torn between a shared distaste for Villa and the need to defend Mexican honor, the Carranza government denied the Americans' permission to use Mexican railways. Battles with Villistas at Parral on 12 April and government forces at Carrizal on 21 June demonstrated the challenges of pursuit and the dangers of mission creep as the expedition plunged deeper into Mexico. By 5 February 1917 the Americans returned to New Mexico with Villa reduced but still at large. After the executions of seven raiders, smoldering Mexican resentment over further criminal prosecutions was doused by not guilty verdicts and executive clemency. The General's pursuit of the Jaguar had implications stretching far beyond the Western Hemisphere. Mexico was a boiling pot into which the kaiser's cooks added their own spices. As a neighbor of the United States and chief oil supplier to the Royal Navy, Mexico had a seemingly disproportionate role in German war plans. A prewar agreement to supply German arms in return for an interruption of oil supplies to Britain in the event of war was an early intrigue. As America drifted toward hostilities in the European War the prospect of an all-out Mexican-American war gave hope to Germany and presented a specter of horror to America. In the days during which General Pershing outlined a plan to occupy all of Mexico and President Wilson requested Congressional authority to occupy, if necessary, all the Mexican states along the border, and would have asked for a declaration of war had Mexico possessed a legitimate government, the effectiveness of American intervention in Europe was much in the balance. As ill-prepared as the United States was when it entered the European war, a full-scale occupation of Mexico may have precluded significant American participation on the Western Front until matters on the Continent had been decided by battle or revolution. After reading this book I can understand how the Zimmerman Telegram was a rational proposal on Germany's part rather than the quixotic adventure that I had always considered it. This book is well written and holds the reader's interest. Author Eileen Welsome draws on various sources, including the memories of hostage Maud Wright. Welsome displays a talent for keeping the characters straight, even for readers unfamiliar with Mexican history. The General and the Jaguar is a worthwhile read for anyone with an interest in the complexity of issues influencing America's entry into the Great War. 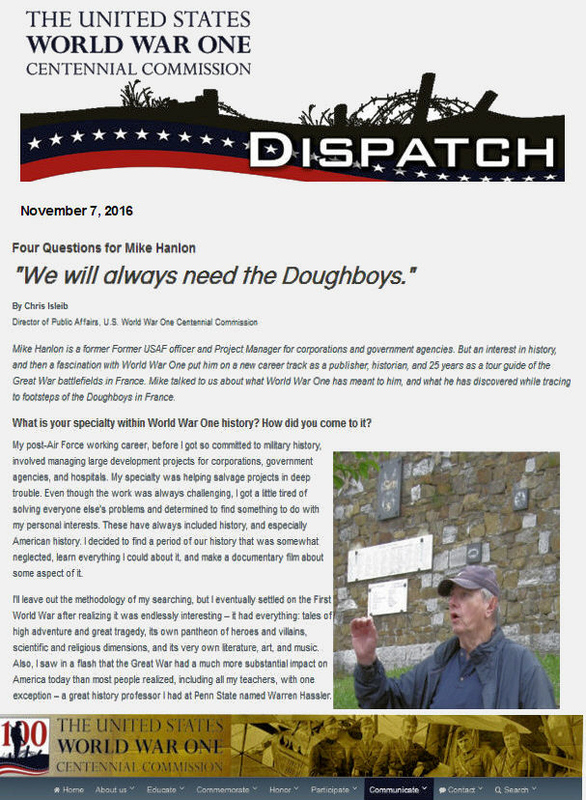 Recently, the World War One Centennial Commission asked to interview me for their newsletter. The questions from Public Affairs Director Chris Isleib (an old battleship sailor by the way) focused on how I got so involved with the study of the war, my publications and battlefield tours, my thoughts on the work of the commission, and why it's still important to remember the WWI generation. Below are some of my opening comments. The full interview can be read HERE. If you have any interest in the aviation aspect of the war, Air Force Magazine, published by the Air Force Association, has a great resource for you. They now provide online over two dozen articles that they have published over the years on WWI aviation. Here's a selection from the article the magazine presented on the contribution's of legendary New York mayor Fiorello La Guardia, who has both an airport and a Broadway musical named for him. 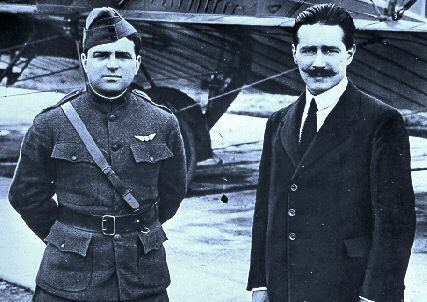 In 1918, Fiorello La Guardia was, concurrently, a member of Congress and a captain on active duty with the Army Air Service in charge of American airmen on the Italian Front in World War I. He flew five combat missions himself, during his time in Italy. In between his military duties, he made speeches and had dinner with King Victor Emmanuel III. He constantly upset army bureaucrats on behalf of his airmen and more often than not, he prevailed. It seems unlikely that anyone other than La Guardia could have done it. Fiorello (“Little Flower” in Italian) was born in 1882 in Greenwich Village in Manhattan. His father, a recent immigrant from Foggia in Italy, was a musician. He joined the army as a band leader when Fiorello was a few months old. Fiorello grew up on army posts, mainly Ft. Huachuca and Whipple Barracks in Arizona. When his father retired, the family moved to Trieste, where his mother had been born. Young La Guardia entered U.S. consular service in Europe and returned to the United States in 1906 to work as an interpreter at Ellis Island by day and attend New York University School of Law by night. He eventually became deputy attorney general for the state, assigned to the New York City bureau. In 1915, “having convinced myself that we were going to get into the war, I decided that I wanted to go into our Air Corps,” La Guardia said. A friend, Sicilian immigrant Giuseppe Bellanca, ran a small flying school at Mineola, Long Island. The trainer aircraft was a light Blériot monoplane with a three-cylinder engine. It was a single-seater, so the student was alone in the aircraft. La Guardia was elected to Congress in 1916. He introduced a bill to make the fraudulent sale of war materials a felony punishable by imprisonment in peacetime and by death in time of war. It never got out of the Judiciary Committee. When the United States entered the war, La Guardia supported the administration’s request for a military draft. “I had told the young men in my district that if I should vote for putting them into the Army, I would go myself, and personally I was eager to get into action,” La Guardia said. “I was 34 years old, physically fit, but too short to become a foot soldier. Whatever further war measures might be needed could easily pass the House without my vote. So I was ready to go to the front and determined to do so.” In July 1917 he applied for a direct commission. He saw no reason to resign from Congress. Some members who joined the military did resign their seats; others did not. “I felt it would be good for Congress and good for the Army to have some of us serving abroad,” La Guardia said. As he told the story in his memoirs, he put nothing on his application blank to indicate he was a member of Congress. The officer who interviewed him was “impressed by the fact that I had some little flying training,” he said, and offered him a commission as a lieutenant. 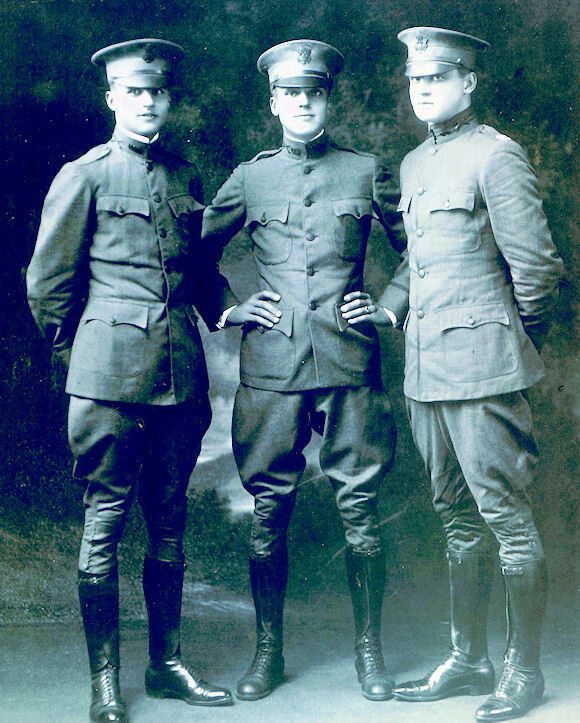 A few days later, he reported to the Aviation Section of the Signal Corps and was taken to see Maj. Benjamin Foulois, soon to be chief of air service for the American Expeditionary Force. Foulois knew, of course, exactly who La Guardia was. A contingent of 150 aviation cadets was to be sent to Italy for pilot training. The United States had only 26 pilots and a few military airfields. Most training had to be done abroad, in France, Britain, and Italy. By amazing coincidence, the site chosen for training in Italy was Foggia, which was La Guardia’s father’s hometown. La Guardia was assigned to Mineola, where the cadets were being assembled for overseas deployment. He was promoted to captain and assistant to the contingent commander. One of La Guardia’s first tasks in Mineola was to make travel arrangements. The War Department order specified use of “any passenger liner sailing from the port of New York.” La Guardia booked 156 first class passages on the Cunard liner SS Carmania. He took the position that he had helped shape the law that created the cadets and knew that the intent of Congress was to provide them first-class passage. The ship left New York on 11 September. “Our boys soon took over the ship and were running all over the decks,” La Guardia said. The colonel in command of all Army personnel aboard was furious and ordered the cadets sent down to steerage because they were not yet officers. Fiorello took exception, arguing that they had first class tickets and the status of commissioned officers. “It came out that I was a member of Congress,” he said. The colonel continued to fume, but “we managed to win the argument,” La Guardia said. When the ship docked in Liverpool, there was a change of plans. The cadets were sent to British flying schools, and La Guardia went to Paris, where he met a different group of 125 cadets and took them by train to Foggia, about 150 miles southeast of Rome. La Guardia’s detachment arrived on 17 October. Forty-six American cadets were already there, under command of Maj. William Ord Ryan and training as pilots on Farman biplane pushers. 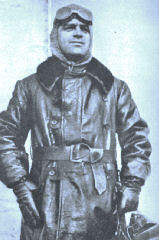 La Guardia was the second-ranking American officer at Foggia. Did You Know These Facts About Lawrence of Arabia? 1. As a teenager, Lawrence ran away from home and served more several months with the Royal Garrison Artillery as a boy soldier. This was his only formal military training. 2. 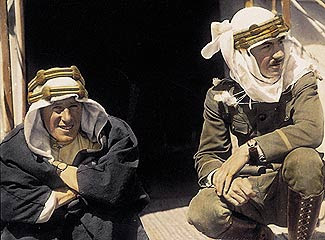 Lawrence first visited Aqaba, which would be a key to his desert strategy, in early 1914, providing "cover" for a military survey of Turkish controlled areas. 3. Brothers Will and Frank were killed on the Western Front in 1915. 4. 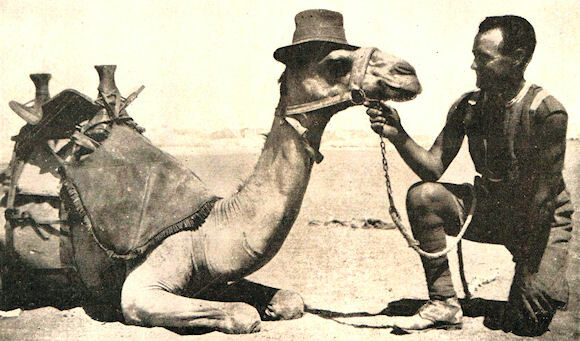 Lawrence was awarded the Légion d'Honneur for his pre-Arab Revolt work in the Cairo Intelligence office. 5. In October 1918 Lawrence declined a knighthood. 7. On 17 May 1919 en route to Egypt, Lawrence was involved in an air crash in Rome in which two other passengers were killed. 8. He was possibly the most "high profile" enlisted man in military history. Under official sanction Lawrence enlisted in the RAF under the pseudonym John Hume Ross. Press publicity, however, made it impossible for the RAF to retain "Aircraftman Ross." He subsequently enlisted in the tank corps as T.E. Shaw. 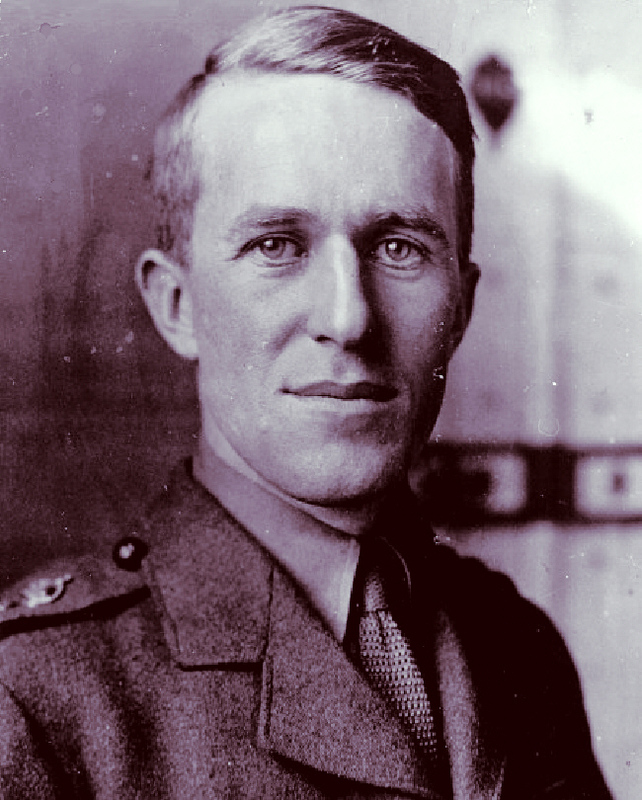 Returning Lawrence to the RAF was a major project requiring support from John Buchan, George Bernard Shaw, and General Hugh Trenchard. Continuing press attention would plague his days as an enlisted man. 9. While deployed to Karachi with the RAF, he decided he loathed India and tried never to leave camp. 10. A destitute Robert Graves was commissioned to write a biography of Lawrence in 1927.